The size of the seat tube is between 40 and 55 cm. 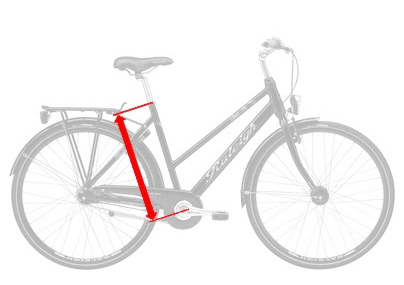 The bike frame either does not have a top tube, or the top tube runs low to allow anyone to easily use the bikes. The bikes have both front and rear brakes. The rear brake can be a pedal brake. If lights are required by national law for riding bikes in dark, bikes must be equipped with lights. The bikes are available 24/7 from publicly accessible locations. All bikes that are not within the definition of a Standard Bikes are Non-standard Bikes.